Is this a great day or what? Well, you decide! For today's Friday Friends with Flair at UnityStamp Co., I decided to show you one of the cards I made for a class last month. I actually made two sets of 5 cards for the class and this is the one I chose for my mom. I stamped the jars in vellum and put some things inside these beauties. Some people at the class did not know they could stamp on vellum. I say you can stamp on any surface... using the right ink. I recommend dye ink because it dries fast. A pigment or distress ink wouldn't probably work well on vellum. After all, you find out what you can or can't do by creating. I don't like rules in my scrapbooking... LOL! I filled one jar with flowers, another was just labeled and one was destined to carry hearts full of love. Flowers were heat embossed. Hope you can see the detail. And my mom loved the card!!!! Hope you like it too. I will be sharing the other cards in future posts. Do you wanna see them? IMPORTANT: Don't forget to leave a comment for a chance to win with Unity Stamp Co.... And, there's a double fun giveaway here.... If you go to my Facebook fan page HERE you can also win one of the two prizes I'll be giving away. 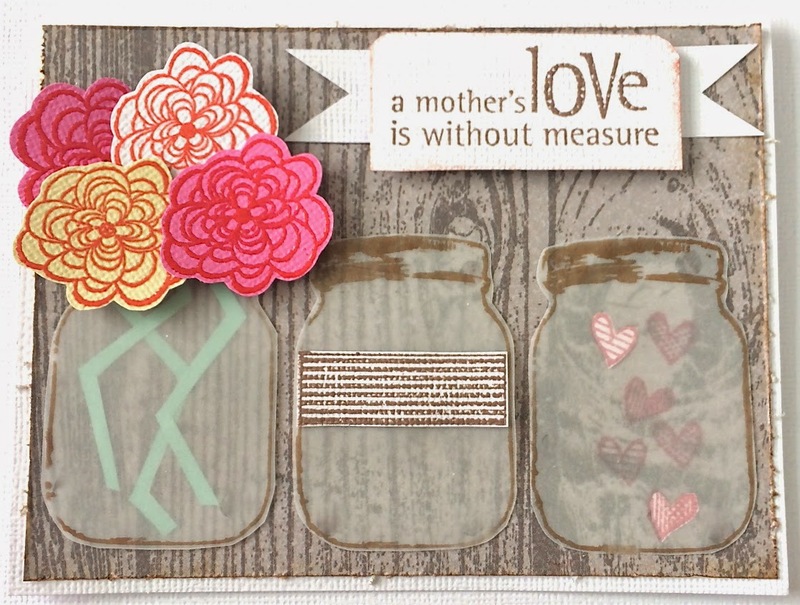 One is a Jars of Love x 3 kit and another one is the "A Mother's Love" kit. These are the ones I used for this card. I will giveaway to two lucky friends randomly chosen. Just go there and like me if you haven't, and leave a comment in the post that linked this entry. You have all weekend, so invite your friends to do the same. I wanna read all your comments. Beautiful effect with the stamped vellum! Great card! Me encanta la tarjeta! y el papel de fondo está hermoso! Beautiful card, sounds like a fun class. I have always been fond of Jars of Love x3. Ohh, I do like it! Jars are such fun to play with! Your card is just beautiful! 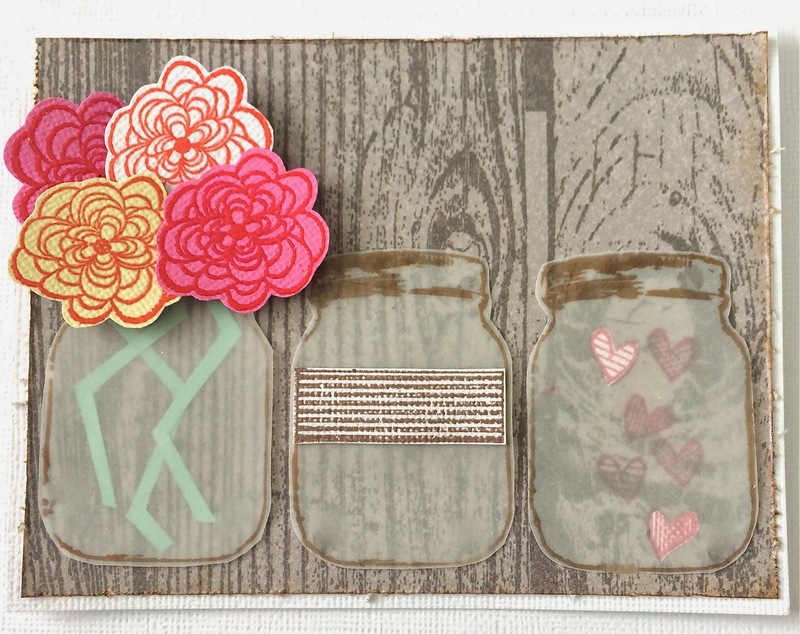 Love the vellum jars over the wood background with those bright flowers! This is an amazing card. Love the vellum idea. The jars are perfect in vellum -- and the contents are perfect, too! Such a great card for your mom. Wonderful card! I really need to use my stash of vellum. Brilliant way to dress up these stamps! I love vellum and love the creative way you used it to make these sweet cards! Fantastic card! 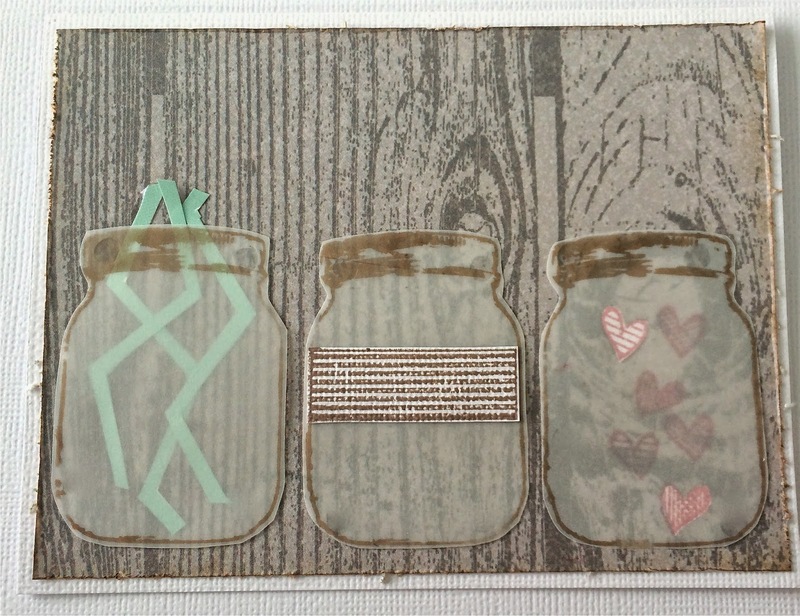 Love the jars stamped on vellum, such an awesome idea! Love the flowers! A fabulous card, Myra!! I love the idea and the bunch of flowers are gorgeous!! Have a great weekend! Your jars are just wonderful, Myra! What a clever, fun idea for your class. I especially love the flower jar!